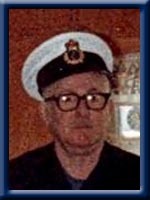 BURGESS – Bradford St. Clair 83, of Port Mouton, Queens County passed away peacefully in Queens General Hospital, Liverpool, on Friday, January 22, 2010. Born in Southwest Port Mouton, he was a son of the late Austin and Eva (Burgess) Burgess. Brad was a former employee with Markland Shipping Company for five years. He also sailed aboard the gypsum boats out of Hantsport. He served with the Canadian Coast guard for over 20 years until his retirement in 1985. He is survived by his wife Alice (Whynot)(White); daughter Pamela Stewart of Liverpool. Sons: Philip (Sylvia) of Vancouver, BC and Barry (Sandi) of Courtney, BC. 7 grandchildren and 2 great grandchildren. Two step-daughters: Brenda (Gordon) Bowers of Port Mouton, Janet White of Liverpool. Three step-sons: Phillip (Brenda) White of Mississauga, ON, Brian White of Liverpool and David (Pat) Whynot of Brampton, ON. Several step grandchildren and great grandchildren. Half sister Shirley Haughn of Pleasantville. Half brothers: Howard (Madelyn) of Port Medway, Lawrence (Shirley) of Brooklyn. Bradford was predeceased by brothers Ellsworth and Desmond. There will be no visitation or funeral service at Bradford’s request. No flowers by request. Donations may be made to any charity. Online condolences may be made to www.chandlersfuneral.com. Sorry to here of your loss Barry & Phillip, been years since seeing either of you, hope your both well. Tish Fisher. Very sorry to hear of your Fathers passing. Time slips past very quickly. Seems like only a few weeks ago we were young.